Martini delivers Paul Madriani's most challenging case yet: One pitting a drug-addicted mother against her daughter's newly rich grandfather in a contentious custody case that leads to criminal accusations and ultimately murder. Madriani takes on the case of Jonah Hale, an elderly man in terrible straits. As a result of their only child Jessica's longtime drug addiction, Jonah and his wife have been raising their eight-year-old granddaughter, Amanda. On the heels of Jonah's multimillion-dollar state lottery win, Jessica revives her interest in mothering. Paul Madriani was once a promising associate with the prestigious Potter, Skarpellos law firm, cofounded by his mentor, Ben Potter. But after a scandalous affair with Ben's wife, Talia, Paul left the firm to begin a brilliant career as a criminal defense attorney. Ben's impeccable reputation has made him a leading candidate for the Supreme Court, until he is found dead on the eve of the nomination, and Talia becomes the prime suspect. Attorney Paul Madriani defends a soldier on trial for murder and unwittingly steps into a maze of secrets and lies that the government, and even his client, would rather leave undisturbed. 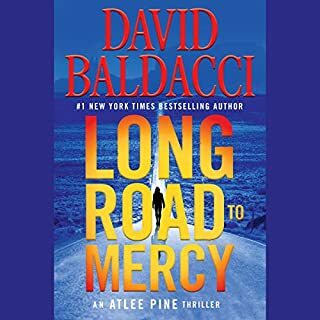 Madriani is faced with arcane ballistics evidence, a so-called "double tap," two bullet wounds tightly grouped to a victim's head, shots that can only be made by a crack marksman. 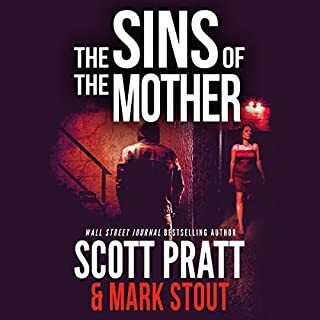 Defending a client accused of killing her father, attorney Paul Madriani is drawn into a treacherous conspiracy dating to World War II in this enthralling installment in the New York Times best-selling series. Paul Madriani and Harry Hinds have a new client: Emma Brauer, a woman accused in the "mercy killing" of her aged father, Robert Brauer. Insisting she's innocent, Emma tells Paul about a package sent to her father shortly before he entered the hospital. Bequeathed to him by a member of his unit from World War II, the box contains a key and a slip of paper. Emma fears that this package is connected to her father's death. When Paul's young assistant, Sofia, is murdered, Madriani is blindsided by the realization that Emma's fears are well grounded. 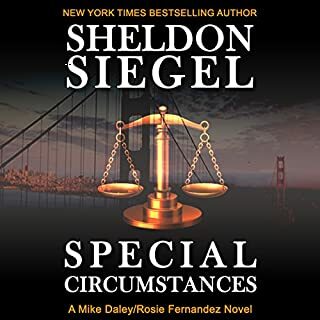 Digging into Robert's military history, Madriani discovers that other members of the army unit Robert served with have recently died - under similarly suspicious circumstances. When he finds that the box sent to Brauer relates to a mysterious talisman that went missing at the end of the war - a feared Nazi relic known as the Blood Flag - Madriani and Hinds realize they are in for the fight of their lives. With Emma's life on the line and their own safety in jeopardy, Madriani must uncover the truth before the evil of the Blood Flag is allowed to spin a new web. I use to follow the Paul Madraini series but somehow I got sidetracked. I saw it listed on Audible’s suggest reading list and decided to buy it. I have always enjoyed Steve Martini’s writing. Paul and his partner Harry Hinds have a new client, Emma Brauer. Emma is accused of murdering her father, Robert Brauer, for his money. Paul has his new legal assistant Sofia check into a package left at Robert Brauer’s home just before he was murdered. Paul is notified by the police that Sofia’s body has been found murdered near Robert Brauer’s home. Paul discovers that Robert Brauer was stationed in Munich at the end of WWII and his team was searching for a “blood flag” which was a Nazi flag used by Hitler. He also discovers all members of the unit are dead by mysterious means. The book is well written and researched. The characters are interesting as is the plot, which twists and turns every which way. I remember the Martini books I read in the past were mostly courtroom dramas. This book is primarily an international thriller. I did find it interesting because of the World War II connection. Dan Moren did a good job narrating the book. 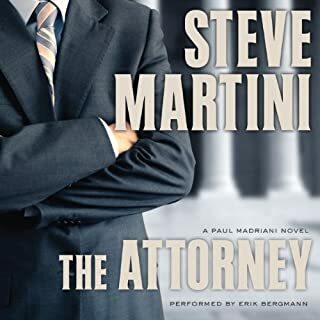 Steve Martini has been writing novels in the Paul Madriani series for almost a quarter century. Most qualify for 4 stars, but Blood Flag is an incredible novel. 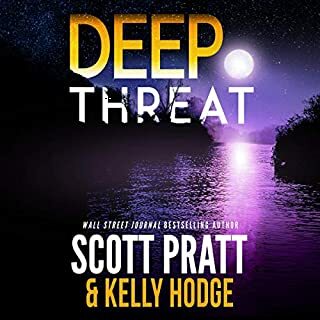 It's a legal thriller I suppose, but Martini digs into history in the style of Steve Berry and he provides the intensity of suspense that Michael Koryta writes. It is a fabulous novel. 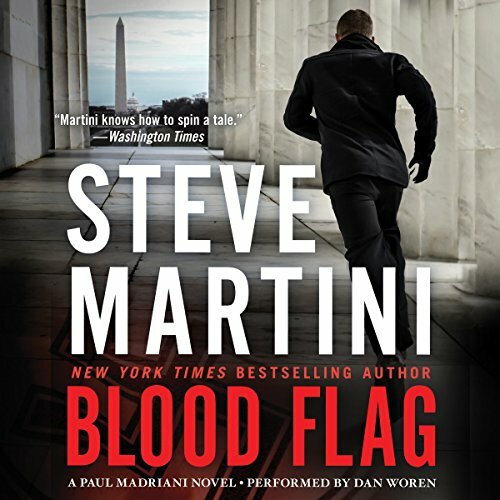 Blood Flag is the 4th consecutive Mandiiati series audiobook that Dan Woren narrates. Woren is very, very good. 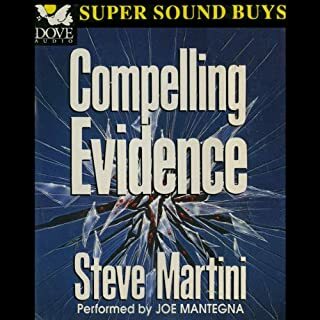 I usually enjoy Steve Martini books but this was very disappointing. It rehashed the thoughts of the characters constantly, and that is just a cop-out to add some additional words/chapters. This could have been completed in half the time. I won't recommend to anyone. Martini delivers again with a spell-binding piece guaranteed to keep you holding on until the end. Would you try another book from Steve Martini and/or Dan Woren? Has Blood Flag turned you off from other books in this genre? The book was mildly entertaining but not well finished. There were too many questions left unanswered about players (Israelis, Nino, fake skinheads,Tony) in the book. The ending is not very satisfying and well telegraphed. The Jocelyn character is also strangely scripted. For most of the book she is smart, forceful, and dynamic. Then when told of Tony's murderous nature on the phone she suddenly loses 40 IQ points asking stupid questions while he is in her presence. It was as if the author and editor were in too much of a hurry to have a payday. Also, do other people feel as I do that Harry is a more interesting character than Paul and deserves more of the focus of a novel? What is it with the Israelis? Etc. What about the assassin? Why were they even involved? Characters were good they played well off of each other The story was a bit cumbersome to follow if you were listening in short spurts. The premise was decent and the plot had potential but there were characters and sub-plots that never connected and in the end were irrelevant. Worst of all though is Madriani's girlfriend Jocelyn. She is one of the most unlikeable characters (that we are supposed to like) I've ever had the displeasure of reading about. I've read all of SM's books and loved most of them. This was not good by his standards.